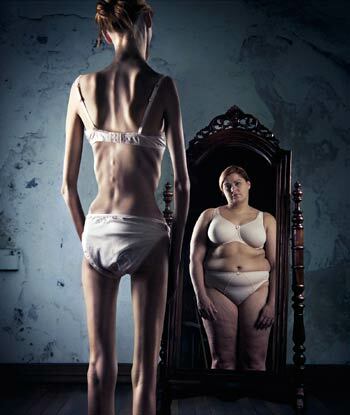 Everyone worries about their weight and appearance, at times. People with eating disorders, however, take these concerns to painful extremes, developing habits that threaten their social interactions, health, and their lives. Although girls and women are frequently effected, men and boys also suffer with disordered eating and body image issues. In fact, many struggle with eating disorders in secret, without their families or friends suspecting. Though the causes of eating disorders vary, many such patients suffer from intense shame, low self-esteem, feelings of helplessness, and intense dissatisfaction with their appearance -- despite the fact that most of them are profoundly competent and accomplished. Some also struggle with obsessiveness, perfectionism, or impulsivity. Individuals who have been rejected, teased about their bodies, or seriously involved in sports can also be at risk. Traumatic events can also trigger disordered eating or body image issues. Though problematic on many levels, these disorders are often an attempt to cope with an internal experience of feeling out of control or helpless in other areas of life. Researchers don't yet know whether eating disorders are symptoms of larger traumas, or whether the isolation, stigma, and physiological changes produced by eating disorders make individuals more vulnerable to trauma. Either way, because people with eating disorders often withdraw from social contact to hide their behavior, the expertise of a licensed psychologist is necessary to accurately diagnosis such illnesses. A licensed psychologist will create a treatment plan that involves psychotherapy, medical support provided by an MD, and nutritional counseling. Studies have found that certain women with eating disorders can benefit from prescription medication. Medication may make it easier for sufferers to participate in treatment, but should only be prescribed by an experienced psychiatrist or medical doctor specializing in eating disorders and/or addiction medicine. Medication should be used in combination with psychotherapy, and not as a replacement for it. Patients and psychologists must work together to explore the psychological issues underlying the eating disorder. Psychotherapy may focus on improving personal relationships, or moving past previous traumas. A critical component of successful treatment, family or marital therapy helps prevent relapses by resolving interpersonal issues related to the eating disorder. Therapists guide family members in understanding the patient's disorder and learning new techniques for coping with problems. Because of its emphasis on regulating emotions and finding healthier coping mechanisms, Dialectical Behavior Therapy is one of the "gold-standard" treatments for eating disorders and related issues. Because disorders of this nature are characterized by deeply negative emotions, impulsive behavior, and desperate attempts to relieve psychological pain, DBT is a natural fit for treating these life-threatening conditions. Participants learn to to identify triggers and find better ways to cope. To combat guilt, shame, and other self-defeating emotions, DBT encourages people to recognize and accept their feelings without judging them as "good" or "bad". DBT can be used in individual therapy or in a Dialectical Behavior Therapy Group setting. The most important thing for you to know about eating and body image issues is that the sooner treatment starts, the better. Eating disorders are progressive diseases and do not improve without treatment. The longer destructive patterns continue, the more deeply ingrained and dangerous they become. Still, the prospects for long-term recovery are good for those who seek help from appropriate professionals, so don't let your fear of beginning prevent you from taking the first step. Even if you're just exploring your treatment options, we can also provide you with referrals to several high-quality eating disorder programs locally, or nationally. Please don't hesitate to ask us for help or resources. ANRED - Anorexia Nervosa and Related Eating Disorders. A nonprofit site that provides information about anorexia nervosa, bulimia nervosa, binge eating disorder, and other less-well-known food and weight disorders.